Political marketing materials need razor-sharp clarity and focus. Often candidates have a limited window of time and limited budgets. Judge Ellen Brostram was a savvy political vet, and knew she wanted to take no chances. 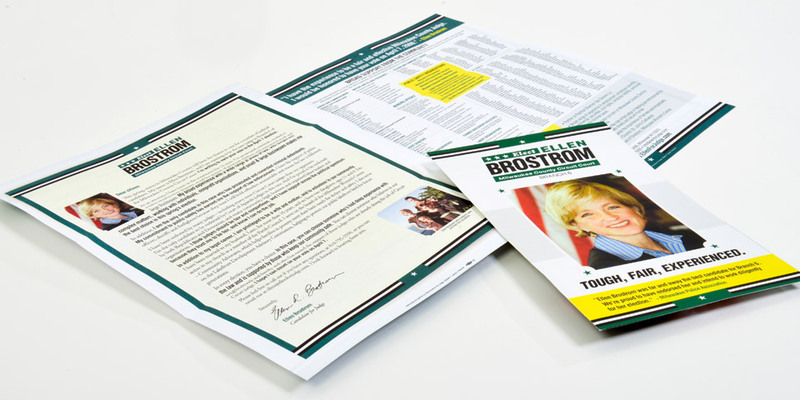 So, she turned to Boom Creative for a wide variety of campaign marketing materials. Very few firms have the experience and diversity of clients that Boom Creative has. We can bring insight, fresh ideas and applicable experiences to your graphic design or marketing communications challenge. Sometimes you only get one shot. Who do you want in your corner?